It was almost unpleasant to view my garden moth traps just before bedtime last night, such was the number of moths, caddis flies and water boatmen (the latter were in their hundreds). 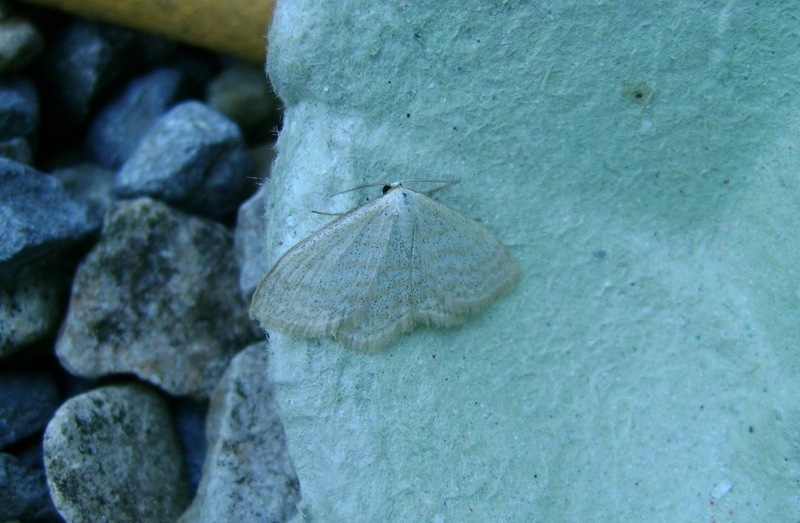 Another early start this morning (my `Circadian rhythm` is now adjusted to dawn starts), and after covering my two garden traps (MV and mains actinic) with sheets for later inspection, I drove the short distance to collect my three `away-from-home` mobile actinics. The latter were all placed in the vicinity of Pwll Fishing Lakes (now not used as such, but a valuable wetland) - one near a minor river, the second in fen/reedbed at the north side of the lake and the last on a small area of brownfield to the immediate west. Above: sunrise at Pwll fishing lake, looking c SE. Above: silky wainscot (showing its silky `sheen`), also caught at the river-edge site and in my garden traps. 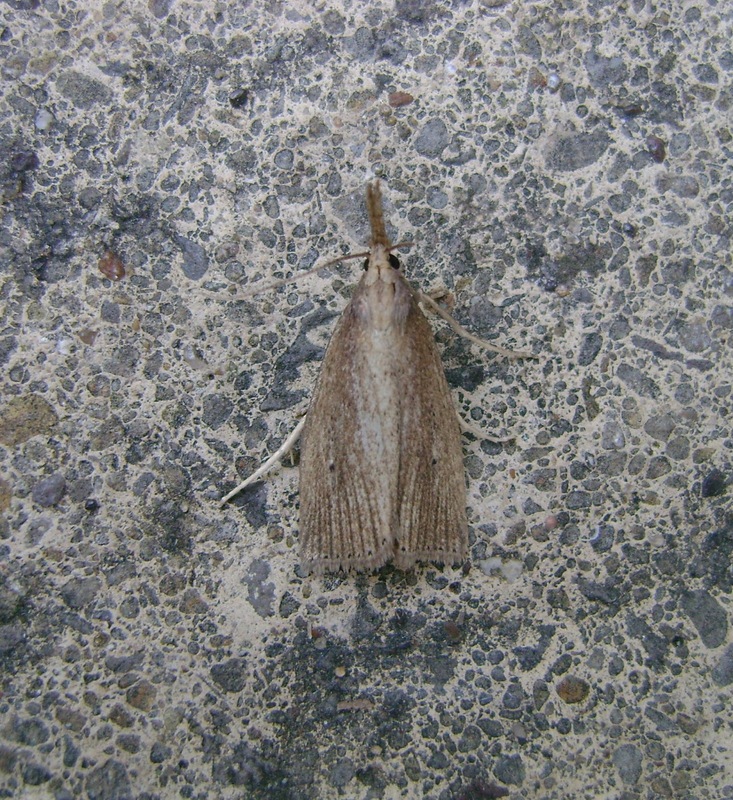 Above: the wetland pyralid Donacaula forficella (also caught elsewhere). Above: small china-mark Cataclysta lemnata. 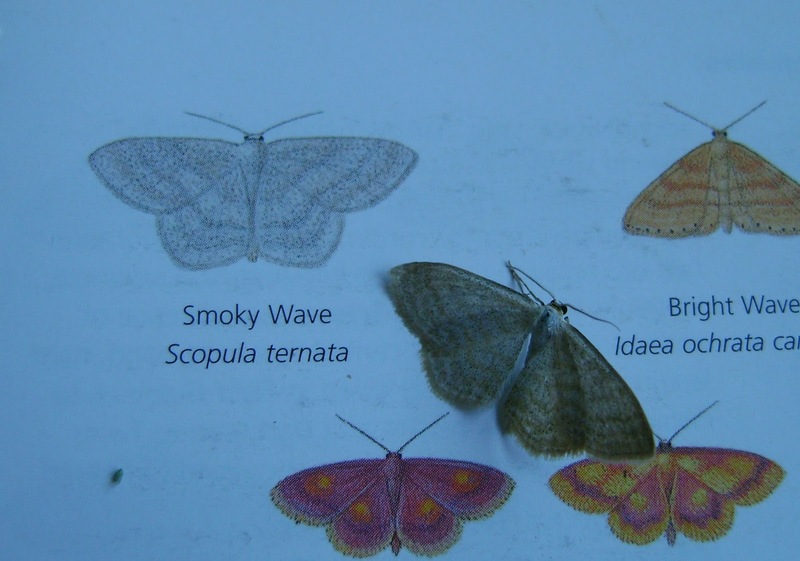 Other wetland associates caught included water veneers, ringed china-marks, small wainscots, blue-bordered carpet (associated with alders) etc. It would be good if inland recorders could target wetland sites in other parts of Carmarthenshire to ascertain the true distribution of these species. Above (two photos): I believe that this is a smoky wave - note black scales on the wings (click on pics to enlarge), a species that I`ve seen in our upland areas, but unexpected on the coast. Note the different colours of the moth in the two photos (it`s the same moth!). 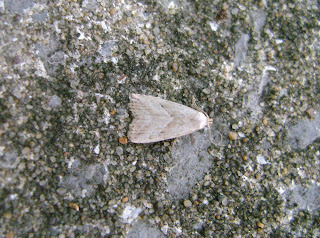 I did consider cream wave but it`s too late for that species, amongst other things. 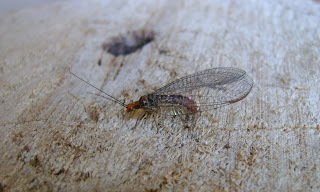 Above: finally, I caught this large lacewing last night and I have emailed the photo to Colin Plant (the National Recorder for this group of insects). Last year, a very similar one proved to be a rarity - I forget its name now (I`ve got it somewhere) - so it`s worth photographing similar specimens and to send the photo to Colin. It is really worth trapping tonight if you can - don`t be put off by thunder or heavy rain, the moths don`t mind - just cover your MV bulb with a pyrex dish or similar. Ian, I'm more than a little concerned about the difference between your male 4-spotted Footman and the one I photographed yesterday. In particular, in yours the orange colour seems to be restricted to the thorax and there's no sign of it extending along the costa, let alone the broad band along the termen which mine had. 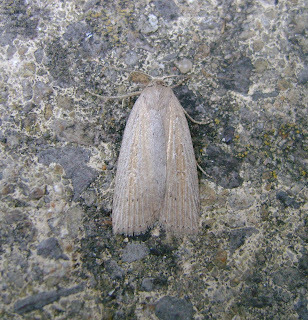 On the other hand there are plenty of on-line images of Buff Footman which look very much like mine. I would welcome Sam's view of it since he would have to ratify the new record for me, if indeed it is one. I suggested that sp (4-spotted) due to the size of your specimen Chris...it`s very large. I`ve just measured it with your scale and it`s 19mm, which is bigger than the 17mm max given for buff footman. 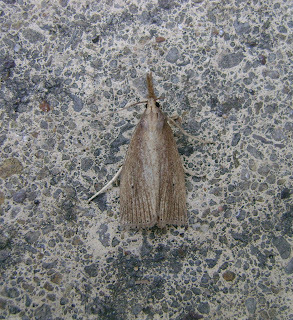 However, I see your point and I`m also leaning towards buff footman (it`s not dingy footman). It`s good that you were persistent with this. Sam is probably away on fieldwork at present. It`s a buff (Sam has checked) so, well done re i/d, Chris. Thanks for your input, Ian. As you say, it's a big Buff! It`s the secret moth feeder you`ve got up there Chris - full of steroids, but the moths love it!